The first generation Subaru Impreza was released with little fanfare and a low output flat-4 in the US market. Subaru didn't sell the hopped up WRX version in the North American market, but they did install all-wheel-drive as standard after 1997 and run a turbocharged Subaru 2.5RX at various auto shows to bring some attention to the next generation that got the fast version. Today's car is a good example of what that car would have been like to drive. 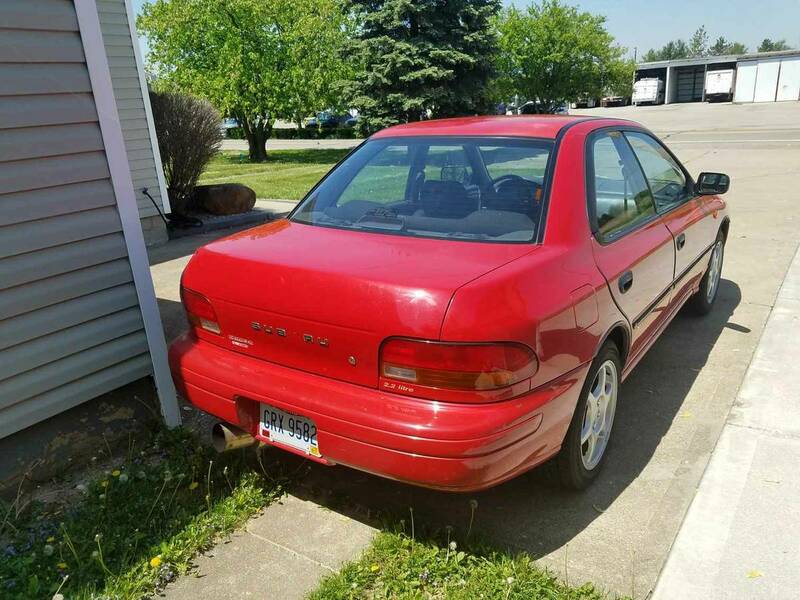 Find this 1995 Subaru Impreza offered for $8,200 in Oxford, OH via craigslist. Tip from FuelTruck. MUST SEE!!!! It's been a hard decision but I have decided to sell my 95 wrx sleeper. It is very clean....these are getting hard to find in this condition. You wont find one nicer. 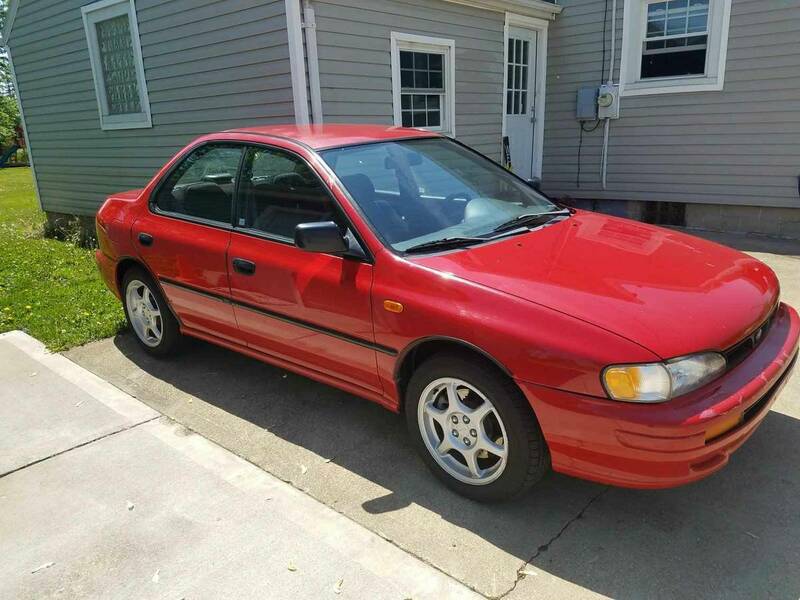 It is a 1995 impreza 2.2L with a 02 wrx complete drivetrain swap. Not just the engine. Engine, trans (5-speed),driveshaft, diffs, axles, front and rear disc conversion, etc. The complete drivetrain has only 56k on it. I have documentation with the title from the donor car for varification. Its very quick considering it's a 2600 lbs car. Also has intake, complete exhaust, headers, uppipe, 3 inch downpipe and cat back. Tgv delete, front mount, boost controller, short throw shifter, 6 puck act clutch, stage 2 tune etc. Very clean body...you won't be disappointed. Possible trade for bobcat or skidsteer. Any questions just ask...thanks for looking. How does this get listed without an underhood shot, or mention of how any compatibility issues (i.e., instrumentation) were addressed? Through the magic of Craigslist. interesting... though really, the stock motor is more reliable and gets better fuel mileage than than the turbo... and the paint on the front bumper looks chipped and poorly touched up... for over $8K, he should have sanded and re-painted the bumper!